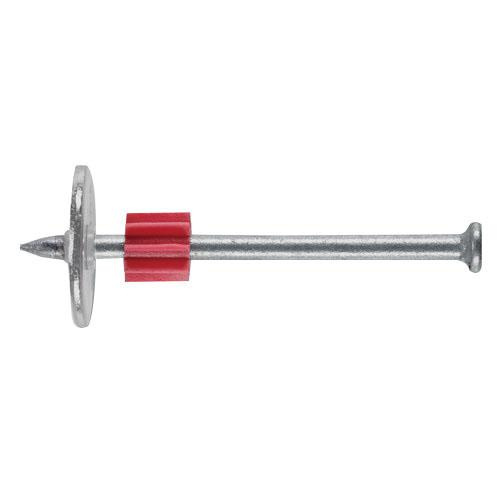 Power Fasteners Drive pin with 7/8-Inch washer, is manufactured with a 0.145-Inch Dia and 1-Inch length shank. It has 0.3-Inch head diameter. This drive pin is suitable for permanent fastening of fixture to concrete, some types of masonry and A36 or A572 structural steel.